Despite a busy week in oil news, prices are hovering around the mid-$40s mark as inventories remain high and production from OPEC members Libya and Nigeria ramps up. • The EIA downgraded its oil production forecasts for this year and next in its most recent Short-Term Energy Outlook, largely due to the OPEC agreement. • But the EIA said that the OPEC agreement could boost prices later this year, which would end up spurring new output from U.S. shale. • Ultimately, that would lead to a small inventory build in 2018, and likely a ceiling on price increases. EIA predicts Brent prices to average $56 per barrel in 2018. 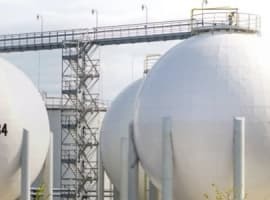 • EQT Corp. (NYSE: EQT) announced its plans to purchase Rice Energy Inc. (NYSE: RICE) for $6.7 billion, a move that would make EQT the largest natural gas producer in the United States. Rice saw its share price jump more than 25 percent on the news. • Rosneft (OTC:RNFTF) said it discovered its first oil field in the Laptev Sea in the Arctic. Russia hopes to see Arctic oil account for 20 to 30 percent of its oil production by 2050, although production from the Laptev is still years away. • Hess Corp. (NYSE: HES) agreed to sell Permian assets to Occidental Petroleum (NYSE: OXY) for $600 million. Hess is gearing up for a major investment in Guyana with ExxonMobil (NYSE: XOM). 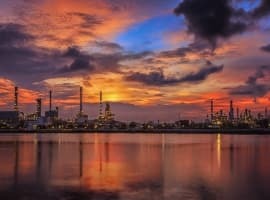 Most oil companies adjusting to “lower for longer.” The Wall Street Journal reports that most in the oil industry are resigned to low prices for years to come, recognizing that a range of $50 to $60 might be a semi-permanent equilibrium. After going through rough waters in the early part of the downturn – between 2014 and 2015 – which saw the bankruptcies of an estimated 105 oil producers and 120 oilfield service companies, the survivors are settling in to turn a profit at today’s prices. Some drillers are actually hoping that oil does not return to $100 per barrel for fear of sparking another boom and bust. Middle East conflict escalates. A flurry of security events took place in the Middle East on Monday, raising fears of an escalating political crisis that has been described as the worst in decades. Iran launched missiles into Syria, targeting ISIS. It was the first Iranian military attack in another country in three decades. Also, the U.S. shot down a Syrian government plane, a move that sparked a warning from Russia. Russia said any U.S. plane flying west of the Euphrates River would be treated as a target. Meanwhile, Saudi Arabia said it has detained three members of Iran’s Revolutionary Guard Corps, which it says was approaching the Saudi offshore oil field of Marjan. The events come as tensions have spiked over the suspension of diplomatic relations with Qatar. There is a lot going on, but for now, the oil markets are shrugging off the tension. In the past, events like these would cause an immediate price spike of a few dollars per barrel. With the market so oversupplied these days, traders are hardly worried about a disruption. Saudi energy minister says market on course for rebalancing. Saudi energy minister Khalid al-Falih said that the oil market would rebalance by the end of the year, a prediction that is unchanged despite the recent downturn in prices. "Current expectations indicate the market will rebalance in the fourth quarter of this year, taking into account an increase in shale oil production," al-Falih said. He dismissed the negativity in the market as irrelevant and the work of speculators. "Markets determine prices but are themselves driven by unpredictable variables beyond the control of producing nations…Short-term volatility is mostly a reaction to short-term factors ... as well as the role of speculators in stock markets that increase market volatility." Total to move forward with Iran deal. Total SA (NYSE: TOT) said that would go ahead with the development of an Iranian gas field, which would mark the first involvement of a major western oil company since Iranian sanctions were lifted. The $1 billion investment comes even as the U.S. government is considering harsher treatment towards Iran. "It is worth taking the risk at $1 billion because it opens a huge market. We are perfectly conscious of some risks. We have taken into account (sanctions) snap-backs, we have to take into account regulation changes," Pouyanne said in a Reuters interview. U.S. oil companies frozen out of Russia. Sanctions from the U.S. on Russia are much more stringent than the sanctions from the EU, leading to an uneven playing field in Russia. European oil companies are moving forward with new projects will their American counterparts are locked out. $ 40, $ 30. $ 20 . LOL. Any more bad news you guys can perpetuate ? 100's of bearish articles and it's a self fulfilling prophecy. I've never seen a commodity covered by more analysts ever. And yet the majority were around in 2013 and 2014 and did not have a clue a crash was about to happen .